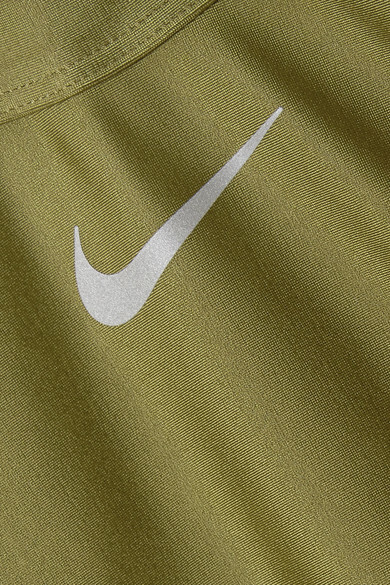 You can always rely on Nike to keep you looking fresh during even the most intense workouts. 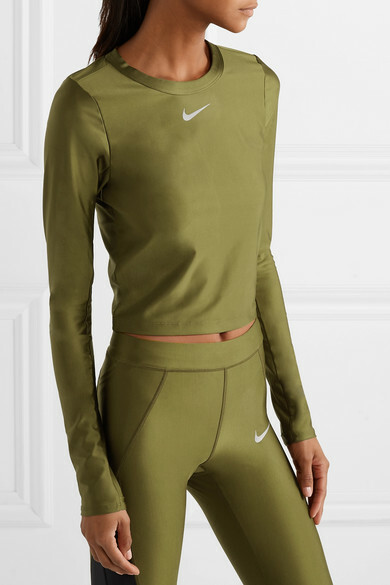 Perfect for outdoor runs, this metallic 'Speed' top is cut from the brand's moisture-wicking Dri-FIT stretch fabric that's developed using the label's Dri-FIT technology to stabilize your temperature in every climate. 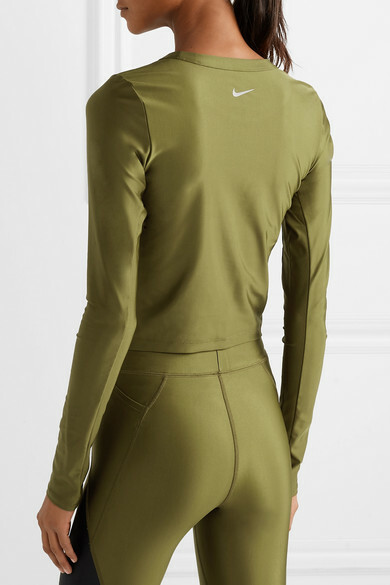 Complement the cropped length with the matching high-rise leggings. 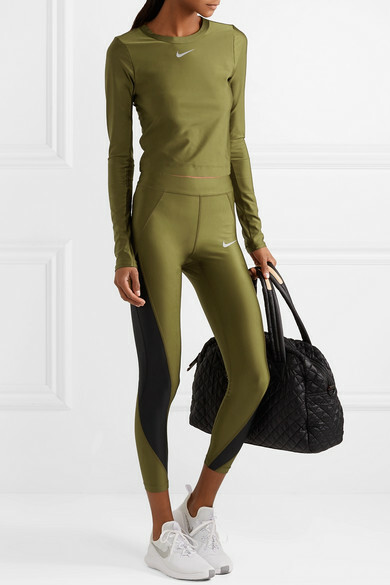 Shown here with: Nike Tote, Nike Sneakers.